Legendary star of stage and screen Ben Vereen, 71, knows that having Type 2 diabetes is no song and dance. But since his 2007 diagnosis, Vereen has been spreading the word that “diabetes is not a death sentence; it’s a life sentence” — taking to the road to share his story with as many people as possible. He first teamed with Taking Control of Your Diabetes and in 2011 appeared in the nonprofit’s Start Taking Action Now for Diabetes (STAND) public service campaign. Currently, Vereen uses Tresiba (insulin degludec injection 100 units/ml, 200 units/ml) from Novo Nordisk, a decision made with his physician as part of his diabetes management plan. Now he has joined Novo Nordisk’s Patient Ambassador Education Program, speaking to people around the country — including the YMCA of Newark, New Jersey, and the American Diabetes Association’s annual EXPO in Chicago — to share his diabetes journey and encourage, motivate and support others living with diabetes. Actor, singer and dancer Ben Vereen made his Broadway debut in The Prodigal Son at age 18. In the 1970s his fame grew with a role in Jesus Christ Superstar and a Tony award for his role in Pippin. His movie credits include All That Jazz and Funny Lady, and while he has made guest appearances on numerous TV shows spanning decades, he is perhaps best known for his role as Chicken George in the 1977 miniseries Roots. And he’s still going strong, with two new TV series, Sneaky Pete for Amazon and 2017’s Making History on Fox. As a member of Americans For The Arts, he recently testified before Congress. And he is on a constant concert tour, Steppin’ Out with Ben Vereen, playing symphony halls and performing arts centers around the country. DSM: You were diagnosed with Type 2 in 2007 after experiencing symptoms — including fainting on stage during a performance — as well as lethargy, sugar cravings, frequent bathroom visits, dry mouth, and mood swings, prompting you to see your doctor. You knew something was wrong, but what was your initial reaction to the diabetes diagnosis? Ben Vereen: I knew something was wrong, but I didn’t know what was wrong. That’s why we’re talking about it — so people can become aware of what to look for. My symptoms were all connected, but I didn’t know that. When I was growing up, people had diabetes, but we didn’t call it that — we called it “sugar in the blood.” I had been told all the horror stories, so when I was diagnosed on Christmas, right away, panic set in — oh my God, how am I going to live with this disease? I had played a character on Webster who had diabetes, and he had a big needle. Now I can tell people about this, so they don’t have to worry. They can see a person living with diabetes, not dying with diabetes. We have to let people know they’re not alone. DSM: How long did it take you to get your diabetes under control and feel confident about managing it while maintaining a hectic performance schedule? Did you take time off? Ben Vereen: Once my doctor told me what I had to do, I knew the regimen. He provided that comfort zone and made it very easy for me. I was able to maintain my performing schedule, I still do. I take Tresiba and can make it work with my schedule, instead of the other way around. I take it once a day in between my performances or rehearsals. DSM: What or who was inspirational to you as you adjusted to what many have called “a new normal”? I’ve read you were inspired by conversations with Patti LaBelle and with a longtime stagehand at a performance in Las Vegas. What did they say that stuck with you? Ben Vereen: The community has been so inspirational. Right after I was diagnosed, I had a show in Vegas. I thought, how am I gonna get through this? This is why we have to speak up. I get there and a stagehand I’ve worked with for years said, “I heard you have diabetes.” He said, “Don’t worry about this, you’ll get through it, I have diabetes, too. Many of us here have it — we’re gonna watch you.” Knowing someone else walking this path was comforting. I felt better knowing that if I had questions, I had someone I could turn to. 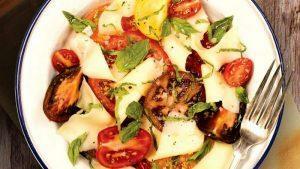 DSM: What lifestyle changes have you made for diabetes success? Ben Vereen: I became a vegan, that’s what worked for me. I exercise, too, but I already did exercise so that was easy. My mantra: Everything in moderation. Moderation is key. You have to have a regimen and follow it. Do what works for you. Then share your story with the community so maybe someone with the same fear can be educated and not feel alone. We can do this. Not knowing the symptoms or how to handle it makes us hit the panic button. Whoa! Don’t press that thing so hard, I got ya. DSM: Why did you decide to become a diabetes advocate? Is it rewarding to share your story with so many others? 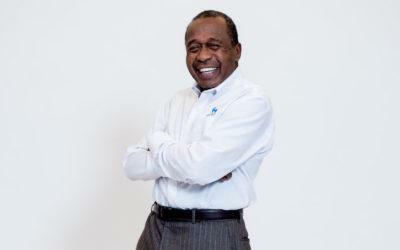 Ben Vereen: Being an ambassador for Novo Nordisk, I get to tell my story and see the results. We talk about living and enjoying life, how to manage life. And I get letters afterward. People who come to a lecture or class, they don’t know how to live with diabetes. Then they get it. Something I say can change their entire life. We truly are our brothers’ and sisters’ keepers. We help one another. Want to learn how other famous people are living with diabetes? Read about James Earl Jones, Nick Jonas, and Mike Golic. Cheryl A. Rosenfeld is a former Editor of Diabetes Self-Management.